Heat the oil in a large stock pot over medium-high heat. Add veggies to pot and sauté until tender. Place in stock pot, cook, turning once, until firm to the touch and meat is white through-out, about 5-7 minutes per side. 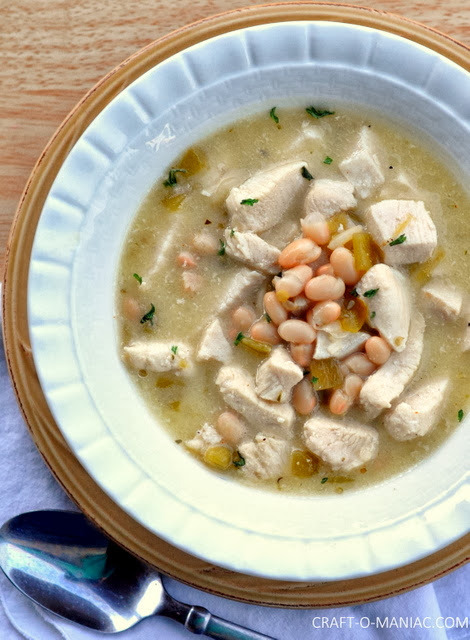 Add broth and beans to veggies and chicken. Place lid on pot and simmer for 10 min. Add arugula or other greens to pot 5 min before serving.